Propane, or liquefied petroleum gas (LP-gas), is one of the nation's most versatile sources of energy. Propane supplies 3 to 4 percent of our total energy. Propane is an approved, alternative clean fuel that is listed in the 1990 Clean Air Act and the National Energy Policy Act of 1992. Propane can be either a liquid or a gas. Propane is a non-toxic, colorless and odorless gas at normal atmospheric pressure and temperature. 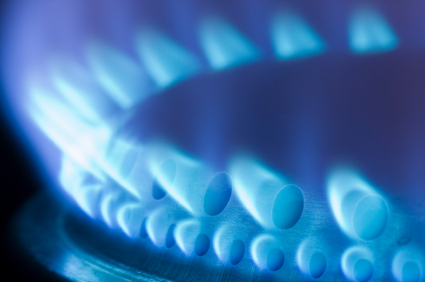 Similar to natural gas, an identifying odor is added to Propane so it can be readily detected. Under moderate pressure, propane becomes a liquid that vaporizes into a clean-burning gas when released from its storage container. Propane is 270 times more compact as a liquid than a gas, making it efficient to store and transport as a liquid. The gauge on the Propane tank reads in a percent value. For instance, if you have a 250 gallon tank and the gauge reads 80%, there is 200 gallons of propane in the tank (at 60° F). 80% is accepted industry practice for maximum filling level. This is to allow the fuel to expand and contract with the outside air temperatures.